Acknowledged as one of the finest, young quartets in the country, the Baumer String Quartet was founded in 2003 by a group of young musicians at the Cleveland Institute of Music. The members of the quartet pursue parallel careers as international soloists, leaders and principal players of world-class orchestras, as members of eminent chamber groups, and as tutors and professors of music. The Baumer String Quartet comes together for a limited touring schedule on a project-by-project basis inspired by the success of the East Coast Chamber Orchestra and the New Orford String Quartet. Rather than committing to a year-round schedule, the members of the quartet meet for short, musical residencies, providing a fresh perspective on interpretations of the traditional string quartet repertoire. Strong advocates for new music, the BaumerSQ has most recently premiered Charles Krenner’s String Quartet no. 1, performed the Turtle Island Quartet’s arrangement of Egberto Gismonti’s Palhaco with Evan Price from the Turtle Island Quartet, and has recently commissioned a new work from composer Baljinder Sekhon. 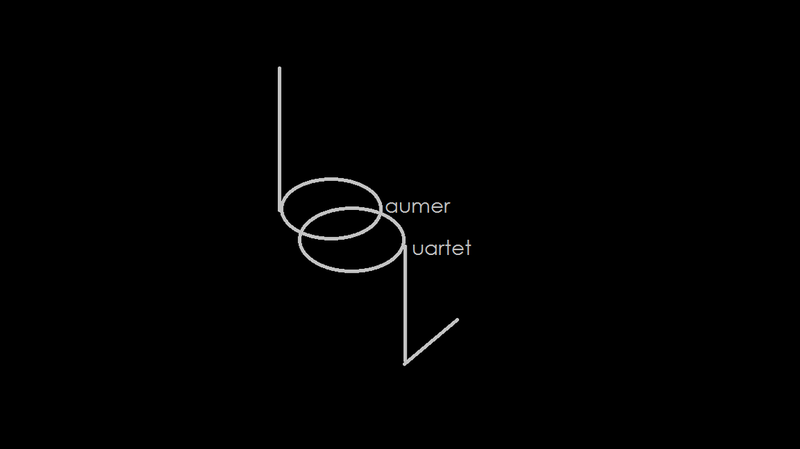 The Baumer String Quartet is quickly distinguishing itself among audiences and critics for their technical finesse, warmth of expression, and cutting edge performances. 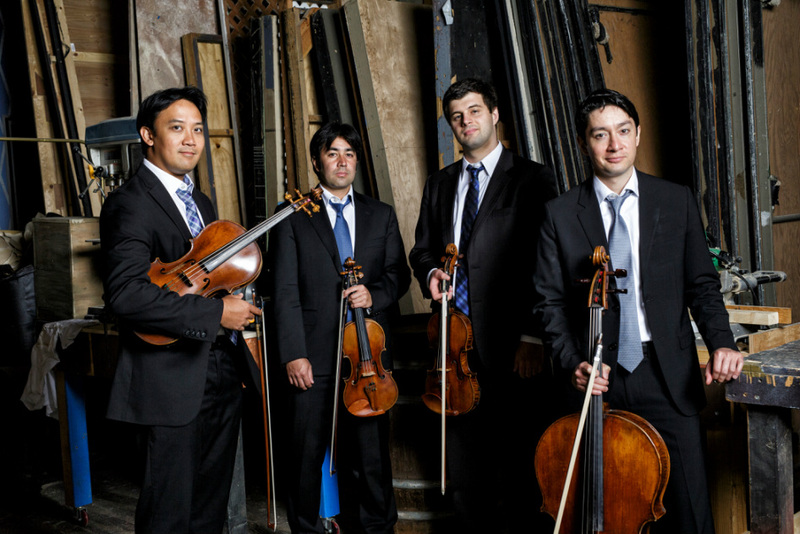 Originating at the Cleveland Institute of Music as the Kashii Quartet in 2003, they soon won the Silver Medal at the 2005 Fischoff National Chamber Music Competition and 2nd Prize at the 2005 Yellow Springs Chamber Music Competition. They worked closely with members of the Cleveland, Alban Berg, Vogler, Emerson, Takacs, Cavani, Borromeo, Brentano, Orion, St. Lawrence, and Juilliard String Quartets, as well as Isaac Stern in the “Stern Encounters” master class series. They were selected to participate in the International Artist Program at Music@Menlo and served on the faculty of the Innsbrook Music Festival. With David Tanenbaum, the quartet recorded Aaron Jay Kernis’s “100 Greatest Dance Hits” on the Black Box label. Advocates for new music, members of the quartet have collaborated with composers Krzysztof Penderecki, Bright Sheng, Joan Tower, Elliott Carter, and Jennifer Higdon to name a few. They have also premiered works by Tan Dun, Pierre Jalbert, Lou Harrison, Sydney Hodkinson, and Conor Brown. Dedicated to educating and inspiring young musicians, the Baumer SQ hosts the week-long Monterey (CA) Chamber Music Workshop where they are quartet-in-residence. They are currently artist faculty at the Crowden Chamber Music Workshop, held every summer in Berkeley, CA. Members of the quartet are current faculty members at the University of Puget Sound and the University of South Florida School of Music. In 2012 the quartet was invited as featured artists for the Joan and Daniel Rutenberg Chamber Music Festival at the University of South Florida School of Music where they taught a series of masterclasses, collaborated with faculty and students, and gave a series of recitals. Upcoming and recent engagements include a commissioned world premiere and recording of Baljinder Sekhon’s String Quartet no. 1, performances at the University of California Berkeley, University of South Dakota, University of South Florida, Holy Names University, the San Francisco Legion of Honor, University of North Texas, the Vesper Concert Series in Omaha, and many others. The Baumer SQ brings together four accomplished artists. Each member tours nationally and internationally as soloists, recitalists, collaborative artists, and orchestral musicians. Baumer SQ members frequently perform with the Jupiter Players in New York City, the Dallas Symphony, the Phoenix Symphony, the Naples Philharmonic, and are resident artists and teachers at the University of Puget Sound, the University of North Texas, and the University of South Florida School of Music. The Baumer SQ is a proud affiliate of the San Francisco Friends of Chamber Music.